We know your first priority when choosing a home care provider is finding someone you can trust and rely on… someone who will care for your loved one as you would, and as we would our own. At FirstLight Home Care – South Sound, our extraordinary caregivers are the most important members of our team. We value them as professionals, appreciate their dedication to providing outstanding service and are proud of our reputation of having the best caregivers in the industry! 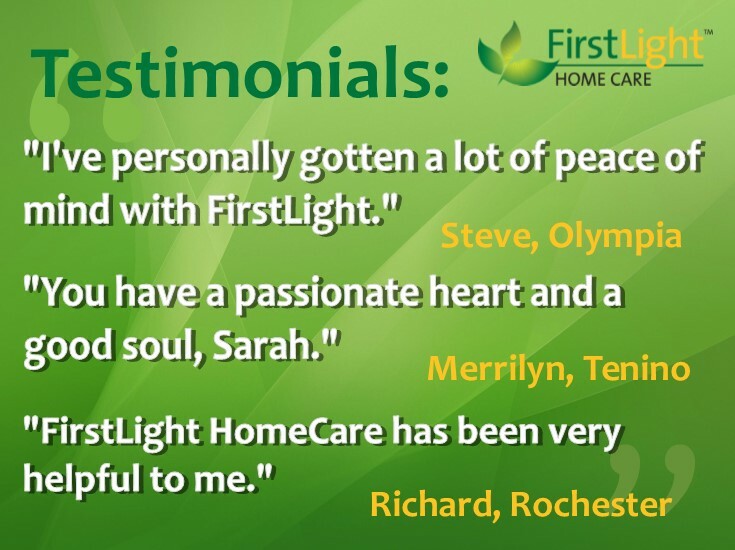 It takes a special kind of person to be a caregiver for FirstLight Home Care. Compassionate, considerate, reliable, experienced, sincere and attentive – these are just some the qualities you will find in every FirstLight care professional. We know, for your peace of mind, it’s essential to find a care partner you trust with your loved one’s health, safety and security. At FirstLight Home Care – South Sound, all of our professional caregivers are licensed, insured and comprehensively vetted with character screening, drug tests and background checks. But most important, we select only people we would trust with our family – expert caregivers whose passion and greatest concern is the health and well-being of your family member. Having experienced firsthand the challenges of finding help and support for aging members of our own families, Greg and I are each very passionate about providing quality, reliable and trustworthy in-home care services in our community. Our families have both called Thurston County home for multiple generations. After college, we both chose to return to Olympia to live, work and raise our children near extended family and friends. We couldn’t imagine a better place for our four kids to grow up than right here, attending the same schools we attended, enjoying the same parks, playhouses and sports activities, and most important, spending time with family. 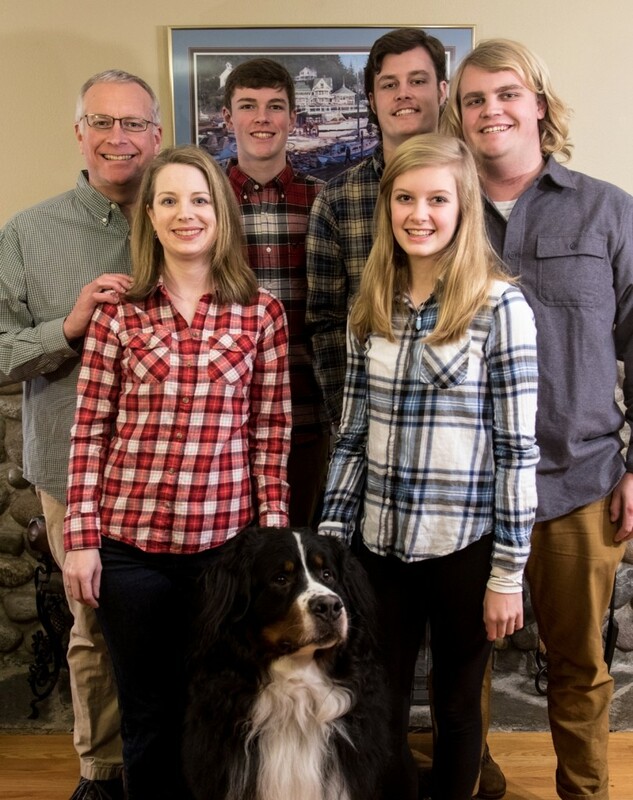 Our family: Sons, Braeden, Cooper and Griffin; Daughter, Kalissa; and Bernese Mountain Dog, Clack. About 10 years ago, our grandparents and their siblings began to need more support with basic household routines. Family stepped in to help, but as the time required to provide that assistance grew, and dementia and mobility concerns increased, we wish we had known there were options for assistance other than moving our loved ones out of their homes – where they much preferred to stay. In other words, we’ve been where you are, and that’s why we opened FirstLight Home Care – South Sound, to serve our community by providing the assistance seniors need to maintain independence, dignity and respect, while also providing the support families need for peace-of-mind. Our services, which include hospice care, companion care, personal care, Veteran’s care, adult assisted living care, and both long- and short-term care, help seniors enjoy warmth, independence and relaxed comfort in their own home or any setting. Whether it’s just a break for family caregivers to run errands or take a vacation, a regular visitor to ensure meals are healthy and the house and laundry are clean, or maybe your loved one needs more care than your family can provide, our FirstLight Home Care family can help. We are a growing locally owned business with an emphasis on finding and training extraordinary people to provide exceptional care. Our family of caregivers are skilled, compassionate and reliable – only those we would trust assisting our own parents. 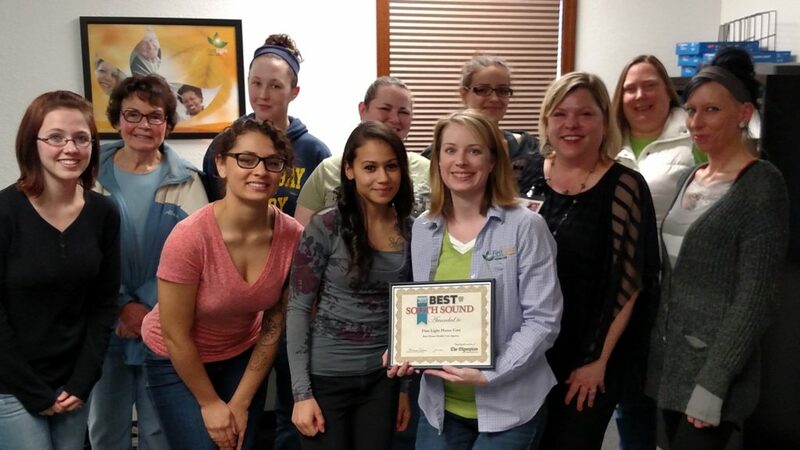 So visit us at FirstLight Home Care – voted the “Best Home Health Care Agency” in the South Sound – and let us know how our family can help your family. Justin Ouellette has spent nearly two decades working to improve the lives of seniors and caregivers. 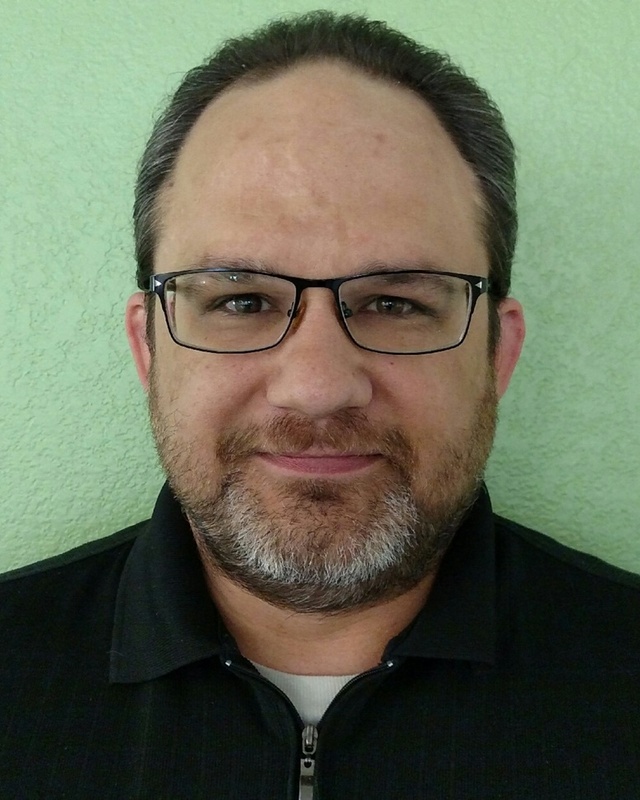 Born and raised in Missoula, MT, Justin began his career working in the kitchen at a senior facility while completing his Certified Nursing Assistant training at Olympic College in Bremerton, WA. After working as a CNA, Justin’s excellent customer service, focused on providing the best possible care to residents, landed him a position in admissions. Justin moved to Olympia in 2012 to become the referral manager at Evergreen Nursing and Rehabilitation Center. He then served as the Manager of Market Development for Puget Sound Healthcare before joining FirstLight as Director of Community Outreach. He and his wife, Crystal, have three daughters ages 5, 12 and 15, and enjoy outdoor activities. 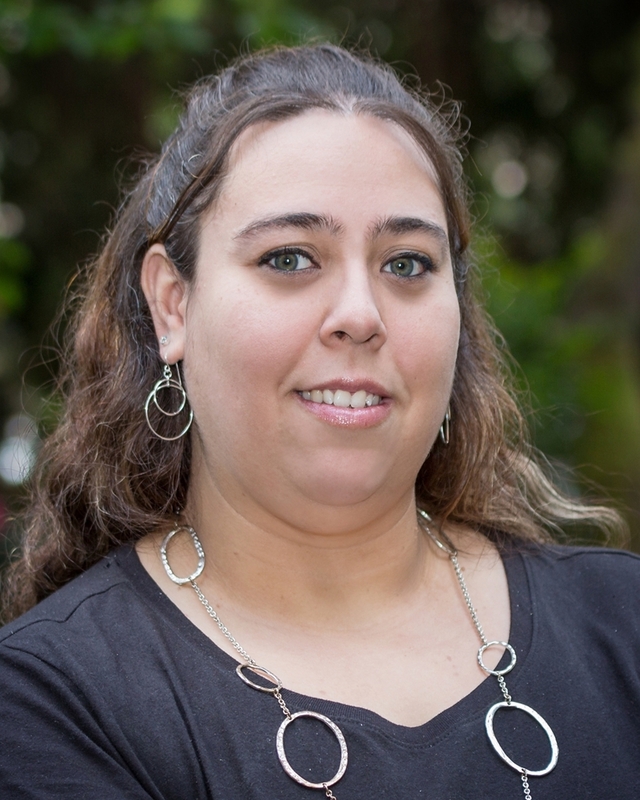 Originally from Grays Harbor, Callie has worked as a licensed caregiver since 2005. 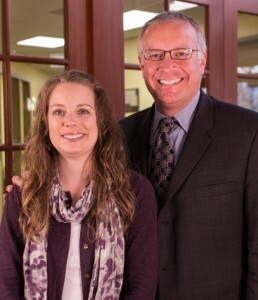 Before joining FirstLight as Care Coordinator, Callie was the Assistant Manager at Olympic Home Care. However, it was caring for her mother until she passed away that introduced Martinez to what would become her professional calling. A Certified Nursing Assistant (CNA), Callie expects such high standards from the caregivers she trains and supervises because she knows the people we care for at FirstLight, like her mother, deserve to be treated with compassion, dignity and respect. Callie is married and has six children. She also speaks fluent Spanish.